Cancer is the growth of abnormal cells in the body. These extra cells grow together and form masses called tumors. 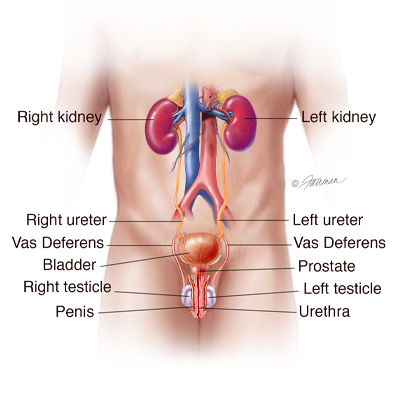 In bladder cancer, these tumors form in the bladder. 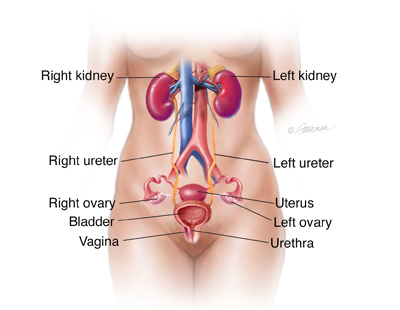 The bladder is where urine (liquid waste made by the kidneys) is stored in the body. In 2015, more than 74,000 Americans will be diagnosed with bladder cancer. Men are almost 4 times more likely than women to be diagnosed. About 16,000 Americans will die of bladder cancer this year. Over time, doctors have made progress with better treatments, and more people survive. To understand bladder cancer, it helps to know how the bladder normally works. The bladder is a hollow, balloon-shaped organ, made mostly of muscle. It stores urine until you are ready to go to the bathroom to release it. Urine is produced in the kidneys. It flows through tubes called ureters into the bladder. Urine leaves the body through the urethra. The bladder muscle helps you urinate by squeezing to force the urine out. 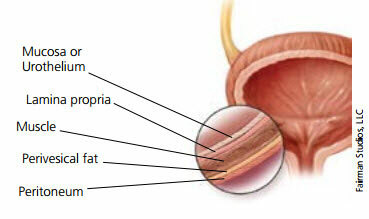 A thin surface layer called the urothelium lines the inside of the bladder. Next is a layer of loose connective tissue called the lamina propria. Covering that tissue is the bladder muscle. Outside the muscle is a layer of fat. Blood in the urine is the most common symptom of bladder cancer. It is generally painless. Although blood may be visible, in most cases it is invisible except under a microscope. In these cases, blood is found when your urine is tested by your health care provider. Blood alone does not mean that you have bladder cancer. There could be many reasons for blood in the urine, such as a urinary tract infection or kidney stones. Microscopic amounts of blood might even be normal in some people. Frequent or painful urination is less common. If you have these symptoms, and do not have a urinary tract infection, you should talk to your health care provider to find out if bladder cancer is the cause. We don’t know all of the causes of bladder cancer, but there are certain things (known as risk factors) that can increase the chance of cancer developing. Cigarette, cigar, and pipe smoking increases your risk of bladder cancer. In fact, half of all bladder cancer cases in the United States are caused by cigarette smoke. Bladder cancer develops in smokers 2 to 3 times more than in nonsmokers.  More than 90% of all bladder cancers begin in the inner lining of the bladder (urothelium). Most tumors in the bladder stay in this area or in the next layer (the lamina propria) and don’t move into the bladder muscle.